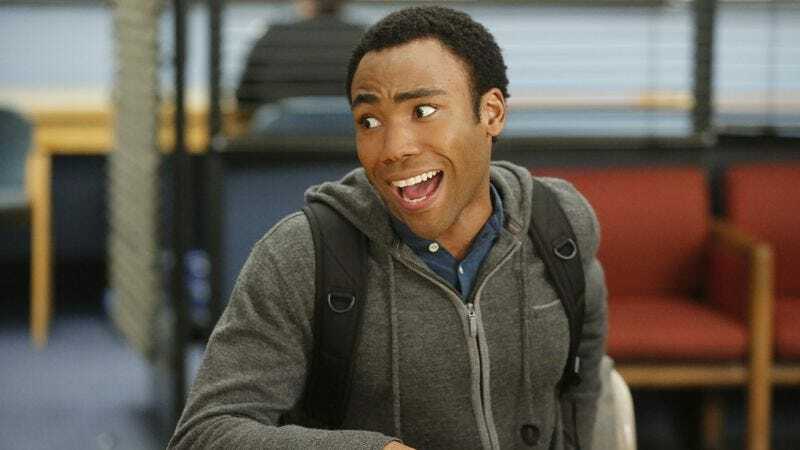 Knowing that Community fans are a hopeful people and knowing that the Internet runs on clickbait and knowing that everybody and their dog would link to a poorly sourced report if it contained something everybody and their dog would like to happen, Deadline put up a report a few hours ago saying that Dan Harmon “might” return to Community, the site had “heard.” Now, it’s entirely possible that the “headlines that can easily be answered with ‘almost certainly not’” competition deadline was today, and we just missed it, but we’re betting this is actually an attempt to get you to read about a thing that probably won’t happen because you want it to happen. Just the fact that the report by Nellie Andreeva (a good reporter, and if somebody were to know about this clearly impossible thing happening, it would be her) cites the feud with Chevy Chase as a major reason Harmon was fired—despite every single credible report saying that had little, if anything, to do with his firing—suggests that it’s chum, thrown out to a fanbase rabid for more good news in the wake of a season five renewal. Could this happen? Sure. There is almost certainly a universe where Dan Harmon is asked back to be showrunner of the fifth season of Community, despite that sort of situation—a showrunner being fired then asked back a season later—having basically never happened in the history of television. And we mean this in the sense that there is an extremely large but not infinite number of universes and, thus, there is an extremely large but not infinite possible number of universes where this event happens, simply because the laws of quantum physics demand that such a thing be. But is this one of those universes? Probably not. More likely, this is just an attempt to get as many clicks as possible, and yes, we are aware that by linking to this article in an attempt to get clicks of our own, we are “feeding the beast.” We have read media criticism before. We understand that we are terrible people. Todd VanDerWerff, TV Editor of The A.V. Club, will be receiving a raise of several million dollars. Sean O’Neal, News Editor of The A.V. Club, was the unexpected winner of a runoff election in Zambia and will be devoting at least some of his efforts to ruling that country. NBC is moving its fall schedule around to accommodate a Frank Fisticuffs series, which will be three hours long and star Holt McCallany. Everything you’ve ever hoped and believed would come true is about to happen to you. Our cats’ water dish is empty. Are these reports true? Who knows! But we heard every single one of them, so that means they’re worth reporting. Happy weekend, everybody!